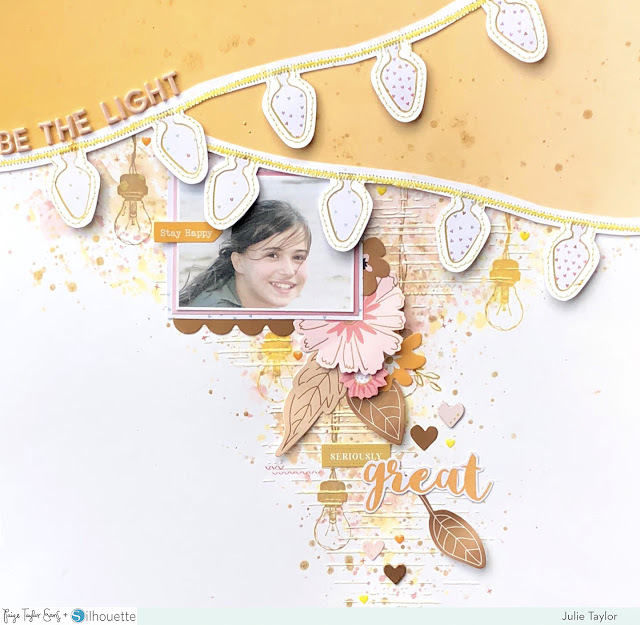 Hi there scrappy friends, Julie back with you again today with a new layout featuring this lovely Lightstrand Background cut file paired with the Whimsical collection. The lightbulbs are just gorgeous and inspired me to make this layout. The cut file covers an entire sheet but I decided to use just two strands of bulbs which I cut apart from the full 12x12 cut file. 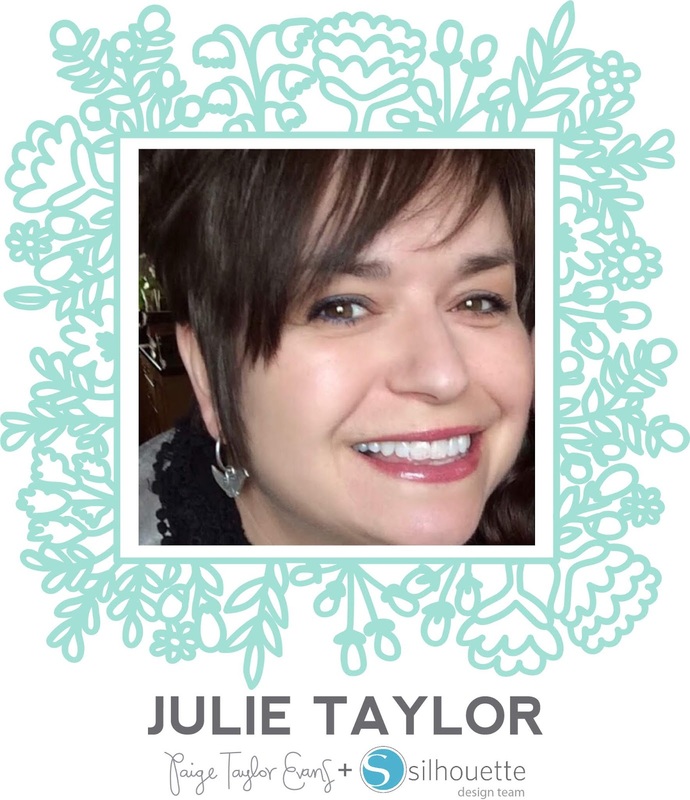 I backed them with the small heart paper from the 6x6 Paper Pad and machine stitched around the edges of the bulbs. 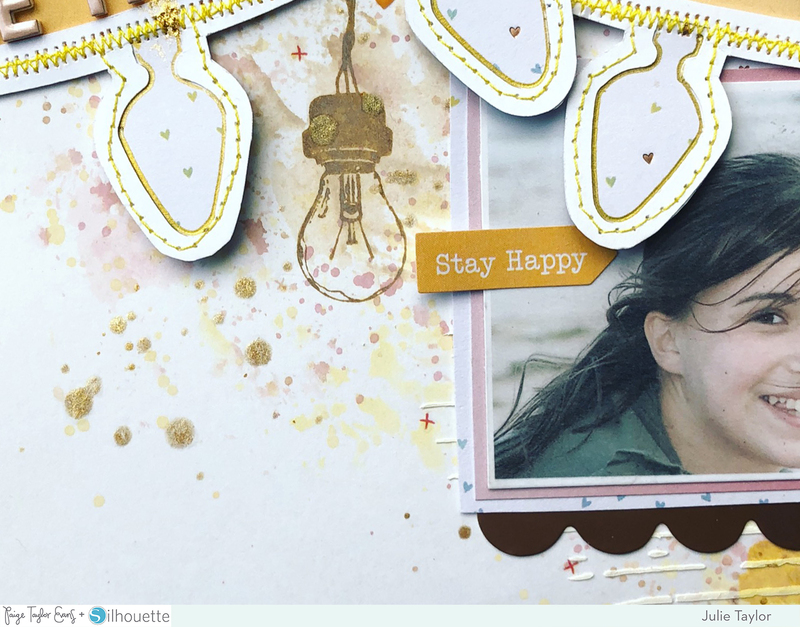 I then attached them at angles onto the yellow ombre Paper 10 and cut away the excess. I added this to a sheet of white cardstock on which I added some mixed media, paint splatters, and a bit of texture paste. I stamped a few lightbulbs coming down the page and added my photo under the second set of light bulbs. 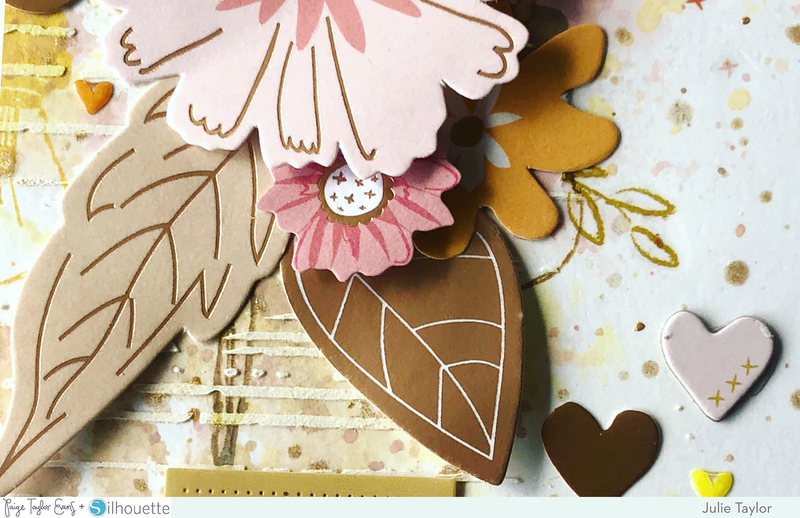 I then chose coordinating colored ephemera from the Floral Die Cuts, Sticker Book, Ephemera Die Cuts, Chipboard Stickers, and Rub-Ons, cascading everything down the page. My title comes from the fabulous Foam Mini Thickers, think I may need to buy multi packs of these, just love them. Hope you have enjoyed seeing my layout today, until next time! This is GORGEOUS! LOVING those lights and the stitching!!! Just FABULOUS!!! !